 Reservation can be made online or from the office of Regional Manager (Ecotourism) UP Forest Corporation, 21/475 Indira Nagar Lucknow. Cancellation Policy – 1. If Cancellation is done before 11 days from Check in date then 100% of Amount will be refunded. 2. If Cancellation is done between 10 to 4 days from Check in date then 75% of Amount will be refunded. 3. If Cancellation is done between 3 and less days before Check in date then No Amount will be refunded. 4. If Cancellation is done after the last date of the month of booking then GST will not refunded otherwise deducted as policy given above. Remember that this is your eco visit so don't expect modern facilities like A.C. , T.V. , WiFi etc. Power Supply for fan and electricity is subject to the availability of Power and Solar Light Condition. Tarrif will be admissible on the date of the visit as per the government rate. Since the sanctuary is a protected area under management of UP Forest department, the entry/visit by the visitors inside is regulated by the forest department. Accordingly, the rules made in this regard are to be strictly adhered. Following entry fees are charged by the forest department, which has been included in the room tariff. The personal vehicles of visitors are not allowed inside the sanctuary for safari visits by the forest department. These visits are to be made by registered vehicles (Gypsies), for which the charges are payable extra.